Numerous cities and counties are declaring states of emergency due to frigid temperatures across the country. 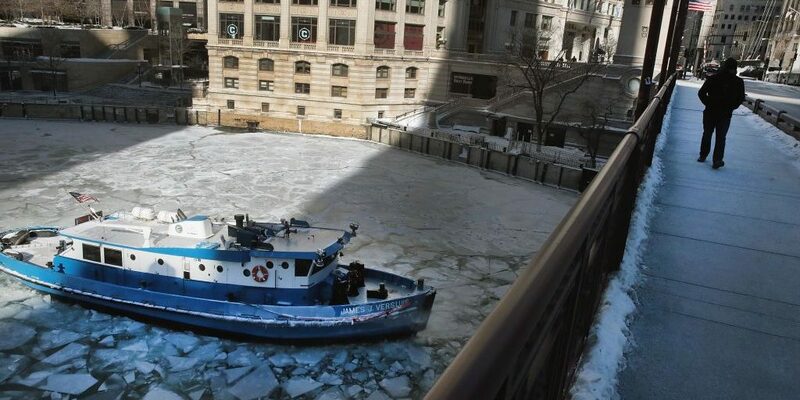 The National Weather Service (NWS) has described the polar vortex that is currently sweeping parts of the U.S. as “one of the coldest arctic air mass intrusions in recent memory,” NBC News reports. Temperatures in some areas could drop as low as -64 degrees, according to the BBC. It’s so cold in some areas that the NWS in Des Moines, Iowa, advised those that must go outside to “avoid taking deep breaths, and minimize talking,” USA Today reports. The weather on Jan. 31 in the Jasper County, N.Y., area was expected to include wind chills of -45 degrees and gusts of about 30 miles per hour, according to the Rensselaer Republican. Several commissioners signed a document declaring a state of emergency between Jan. 30 and Jan. 31. During the state of emergency, citizens were instructed to “refrain from all travel, to comply with necessary emergency measures, to cooperate with public officials and disaster services forces in executing emergency operation plans and to obey and comply with the lawful directions of properly-identified law enforcement officers,” according to the document, the Republican reports. Lansing, Mich., Mayor Andy School declared a snow emergency for the Michigan capital on Jan. 28, the Lansing State Journal reports. During such an emergency, non-essential travel on city roads is prohibited. Multiple states including Alabama, Illinois, Michigan, Mississippi and Wisconsin have also declared states of emergency, the BBC reports.